We convert them into leads. We enlist customers to become sellers. Our Digital Lead Generation attracts prospects through 3 Google channels. 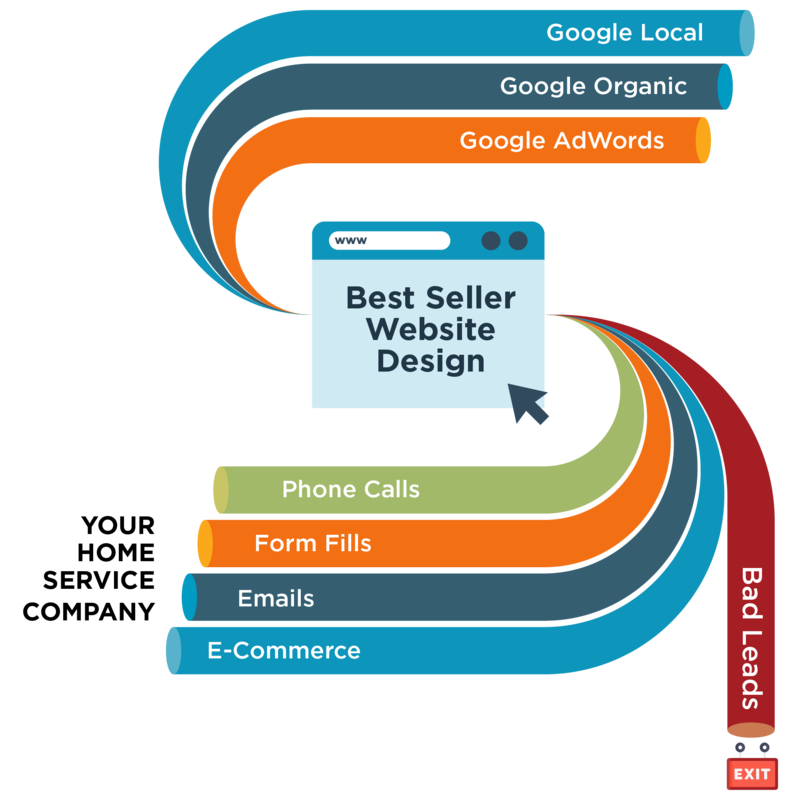 Our Best Seller websites convert prospects into leads and suspect to exit. We enlist your delighted clients into your best sellers for more leads. 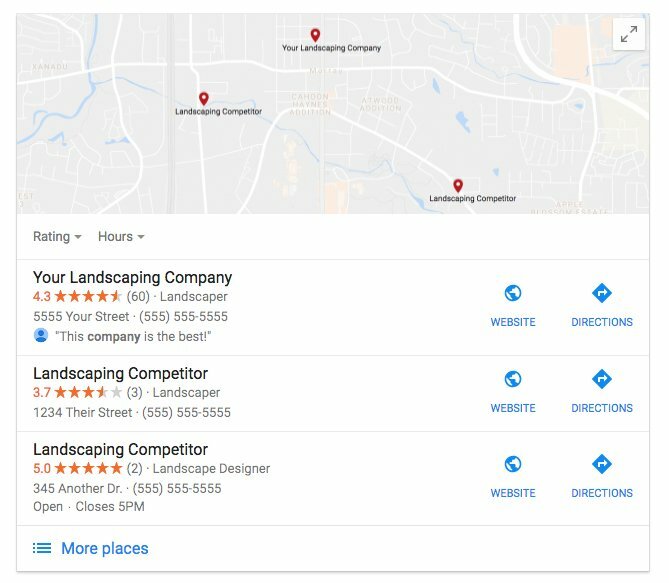 Google Local is Essential for reviews, map and the business page. Google Organic is Best for the most conversions at the lowest cost. Google Ads is Fastest for the most controllable conversions. Our clients are spending less money than in old media and still getting more leads at a lower cost per lead. 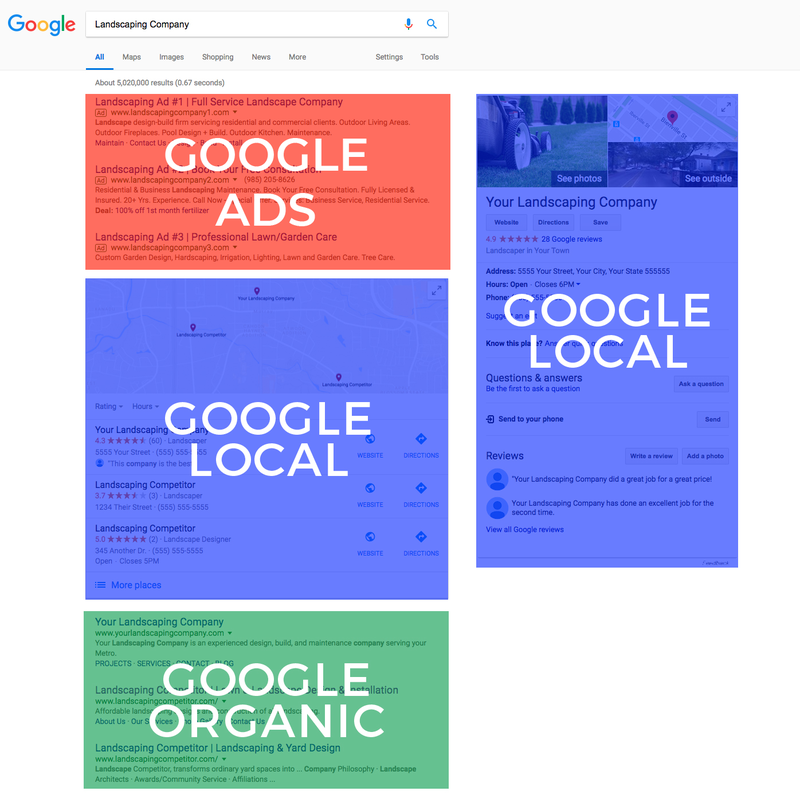 We generate leads by enhancing your Google reviews, creating new leads on Google Maps, and closing referral business on your Google My Business page. 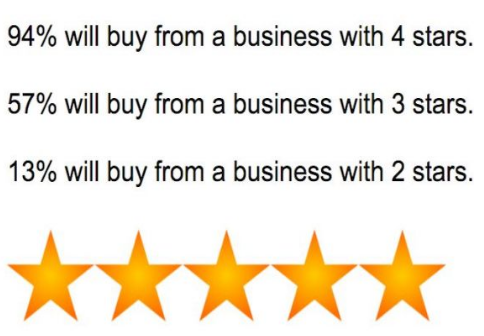 Online reviews are the juries for buying decisions. The home is your customers’ biggest financial and emotional investment. People buy for emotional reasons and justify it with logical ones. Home service contracts are infrequent and expensive purchases. Homeowners dread having buyer’s remorse they will see every day. So, affluent homeowners flock to online reviews. Word of Mouth endorsements and referrals have moved online. In addition to the scores, the amount of reviews matter. A business with no reviews creates doubt rather than trust. Display up to 3 times. Are seen faster and easier. Drown out other review sites. 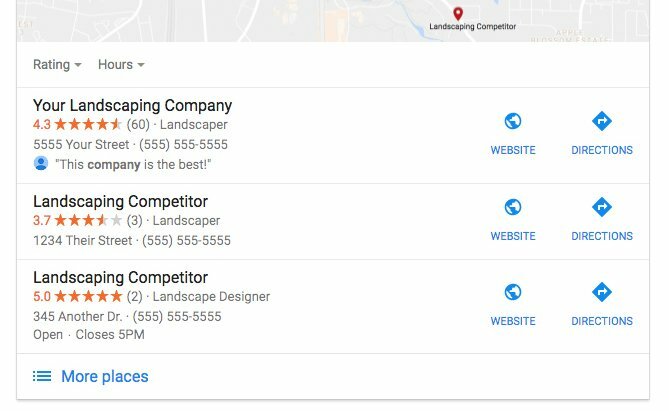 Sell new business on Google Maps. Sell Google to put you on Google Maps. Close referrals on your Google My Business page. Close pending deals on your Google My Business page. 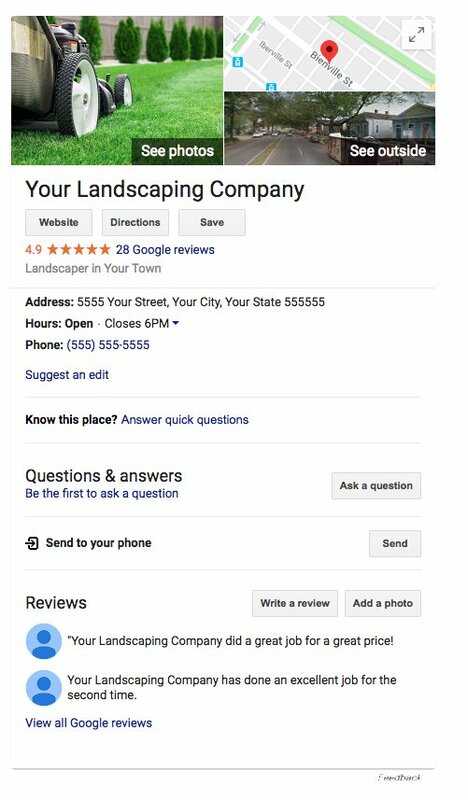 Google My Business is a profile created by Google that shows up on “branded searches” (when people search for you by name). 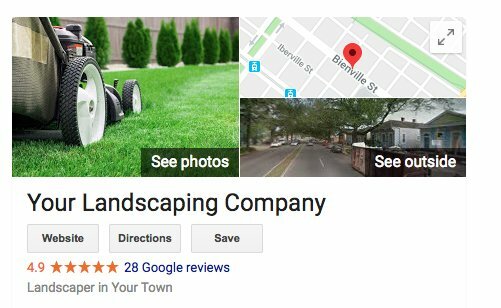 Reviews on your Google My Business Page will make or break the deals most likely to close: referrals and pending proposals. The information must be accurate, complete and consistent in order to show up in the search and display correctly. (We’ve seen sites with sabotaged phone numbers and worse). We manage Google Local to increase reviews, traffic and leads. The Google Map is a great lead generator because it is is the most prominent organic result. It splashes across the top of the search page. Google crosschecks hundreds of directories to assure its map results are accurate. The best way to land your business on the map is to constantly monitor and shepard those listings. By doing so, we increase our clients ranking in the Google Map that increases their traffic to their website. In 100s of campaigns over a decade, the data shows that Google Organic produces the most leads and traffic with the best close ratios and margins. Organic leads come from people searching Google for topics. 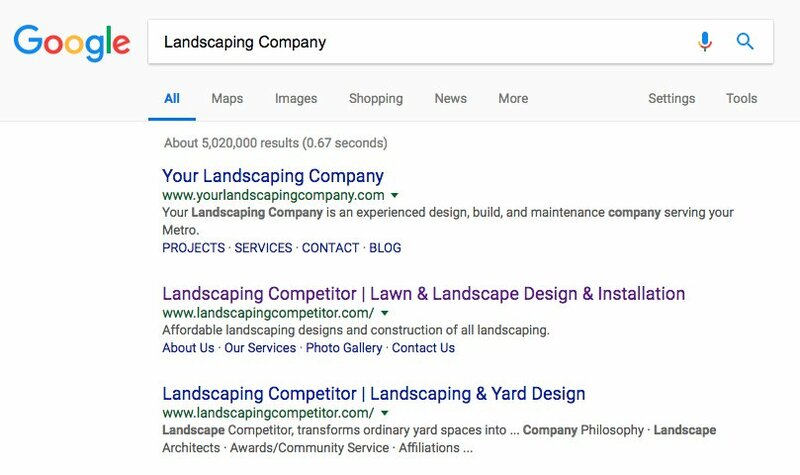 When Google decides your page answers their question, you rank higher and get more clicks. To get Google on your side, you need extensive, useful content that people want to read. Our expert writers will interview you about the intricacies of your business and craft unique, compelling content. Success here is all about creating content to influence Google rankings, and lead conversions. It’s a series of balanced combinations: communication, art, data analysis, editorial, marketing, sales principles, photography, navigation and graphic design. It’s been perfect for us because our heritage was in broadcasting, direct mail and our magazine, Washington Home & Garden. 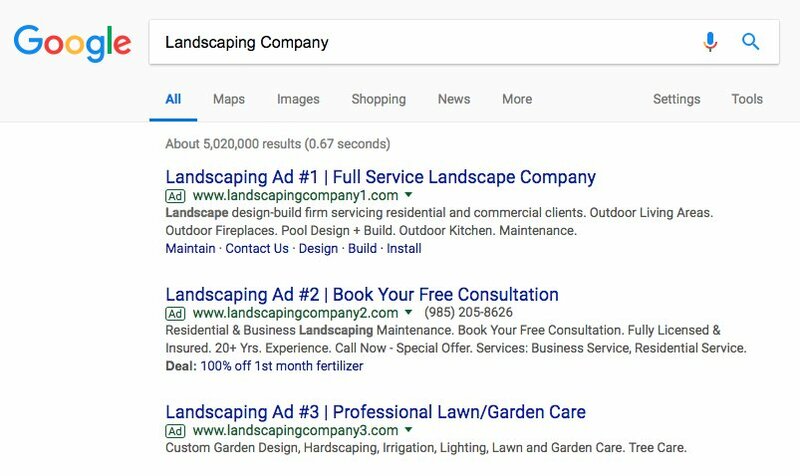 We have an advantage in keyword research because we have so much experience in home and garden, especially landscape and fence contractors. We also carefully analyze your website. This tells us what we can achieve right away and what we need to create to achieve in the future. Our thorough onboarding helps us learn about your niche in home contracting. We’ll find what you do best and what sells best for you. Google Ads (formerly Adwords) generates leads right away. These are the first results people see. 41% of clicks originate from Google Ads making it impossible to ignore as a marketing channel. You dismiss Google Ads at your business’ peril. We discover your optimum service mixture and build a marketing plan that laser focuses on your best keyword options. Google Ads can make your phone ring within hours. Hiring a Google Ads manager is more than just throwing money at the medium. A good management team can get you far more leads at far lower costs than an amateur. Some Google Ads managers set it and forget it. We set it and obsess over it. Once your campaign has started, we constantly refine your campaign. That (coupled with our insights based on years of experience managing millions in ad spend) give you the edge in competitively bidding for clients. Our website work improves your Google Ads results. With sales-engineered sites, your Google Ads campaigns convert more visitors for less spend. This constant attention means you’ll see ever-increasing results. We can deliver double-digit percentage increases in Year 4 of a PPC campaign. 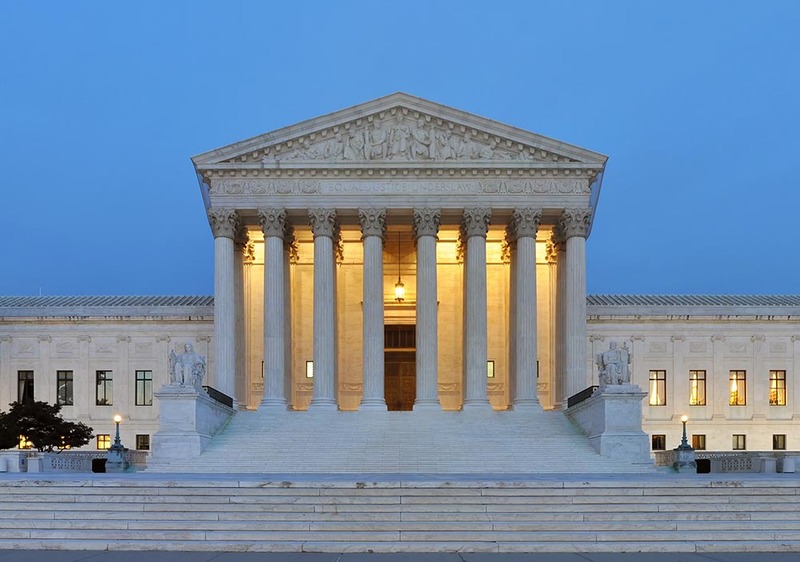 The proof our system works is our improvements with our long-time clients. Fill out this form to speak to a member of our leadership team within 24 hours.